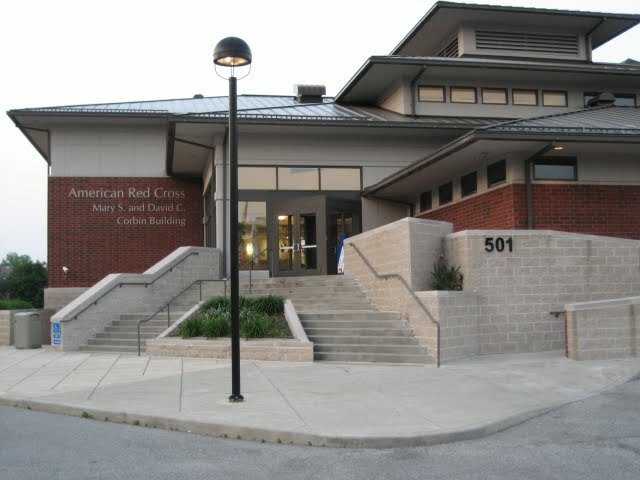 The American Red Cross selected the Kenmore Companies to provide construction management services during the planning and construction phases of their new headquarters building in Akron, Ohio. This facility includes administrative offices, meeting rooms, disaster services spaces, blood storage and blood collection areas, and kitchen facilities. The new structure was built on the site of the original headquarters. This required special provisions to maintain operations in the functioning building during the construction of the new facility. Coordination of contractor activities was especially important given the limited space on the site and the requirement to maintain the functions of the existing building. The project was completed as scheduled and within the 8.6 million dollar budget.